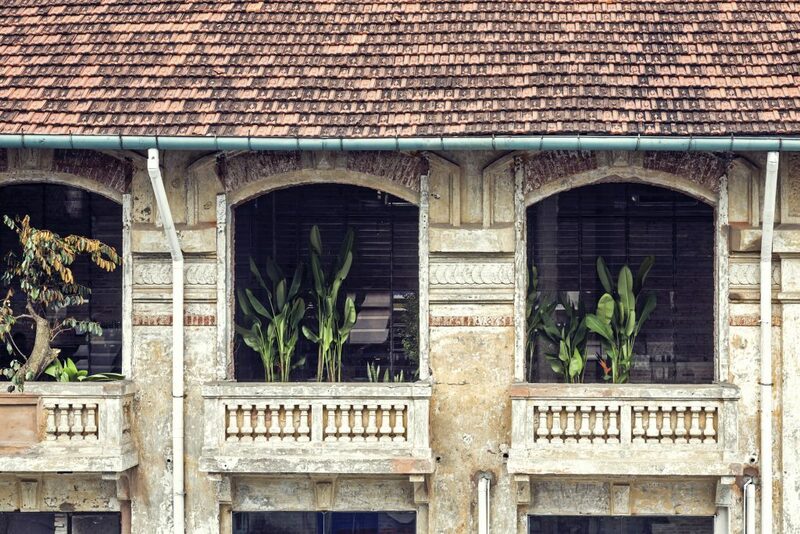 The beauty of Saigon was once inspired by French architectures during the last century. 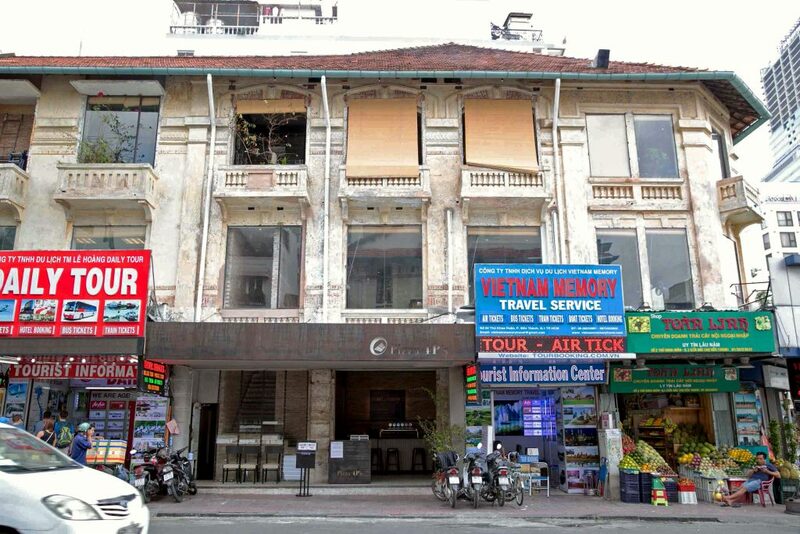 As a desire to bring back the resonance of the immemorial Saigon, we chose a former French villa, opposite to Ben Thanh Market, for the next journey of Pizza 4P’s. At the end of September 2016, at Thu Khoa Huan corner, Pizza 4P’s Ben Thanh was finally be a part of 4P’s family. 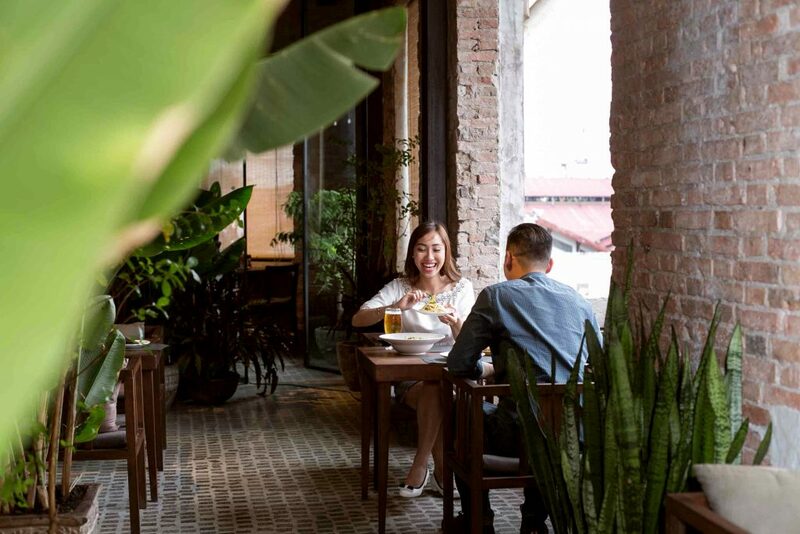 Till this day, we are still truly honored that Pizza 4P’s Ben Thanh could be a reflection of a French nostalgic atmosphere, and harmonize with the lively heart of Saigon. Continuing with design concept, another story was told by our architecture – Mr. Shunri Nishizawa, reflects how he came up with the inspiration of “timeless design” for Pizza 4P’s Ben Thanh. Enku, a monk who carved some 120,000 Buddha wooden statues in Japan 400 years ago, indicated that “the statue already existed in the wood” and all you have to do, is to “take time to feel the piece and think of what was there”. Thousands of his creations still remain until today, simple yet truly beautiful. In spite of time limitation, our architect followed the philosophy of Enku, he began wondering about the truly spirits inside this building and how he could revive it. And this led to the questions of finding “timeless elements” while well implemented into the modern interior design. After removing billboards, the monumental French nostalgic balconies was once again re-emerged in the eyes of many Saigonese. Left an impression as a forgotten memory that they has gone through the time, these balconies have become a unique mark among the uproarious streets. 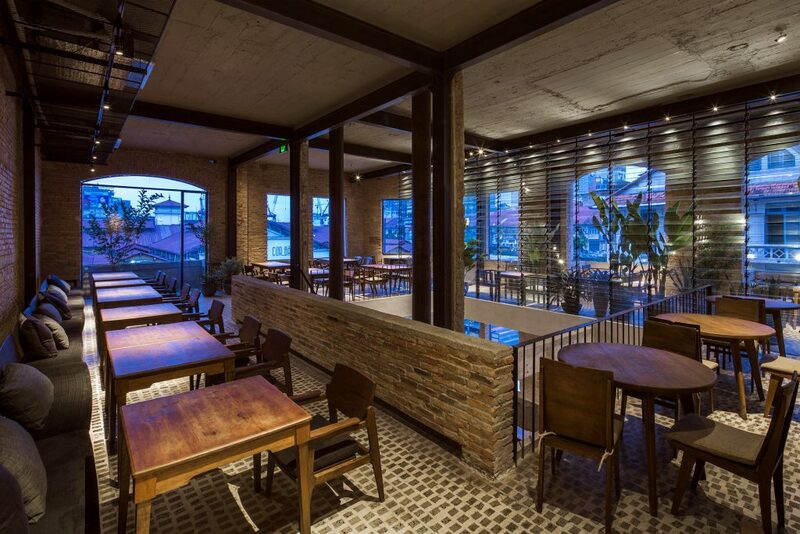 In addition, to create a connection between outside and inside, our architect kept the opened space for balcony area at Pizza 4P’s Ben Thanh. The image of these balconies is as if creates a bridge from inside the restaurant which steps into the streets outside; as well as brings back the urban atmosphere to inner space. Innovating interior design that go well with exterior architecture is a tough question. When it turns into the whole surrounding scenery, where left traces of nostalgic French buildings, our architect and his team were inspired by the iconic old French jalousie windows, to create a classical yet modern interior design. 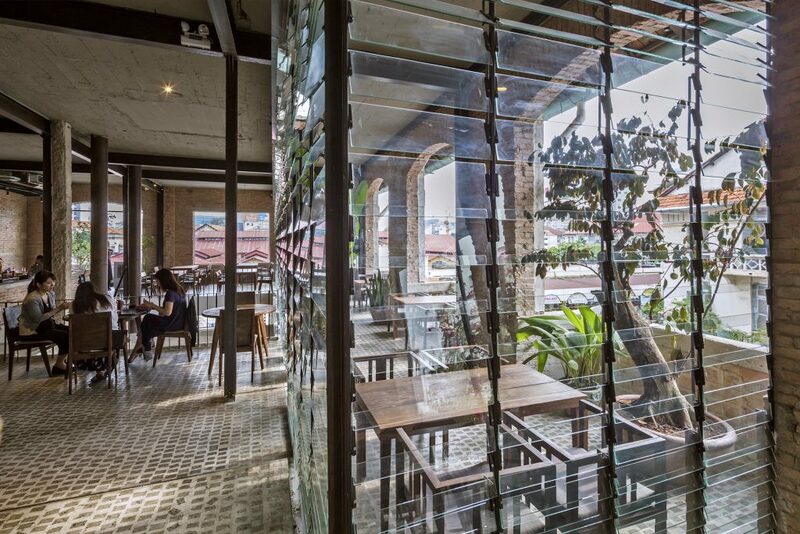 Combining “timeless elements” and minimalism design, the concept of Pizza 4P’s Ben Thanh is to bring the resonance of the past and presence, which could recall a feeling of both immemorial Saigon and the contemporary lifestyle. 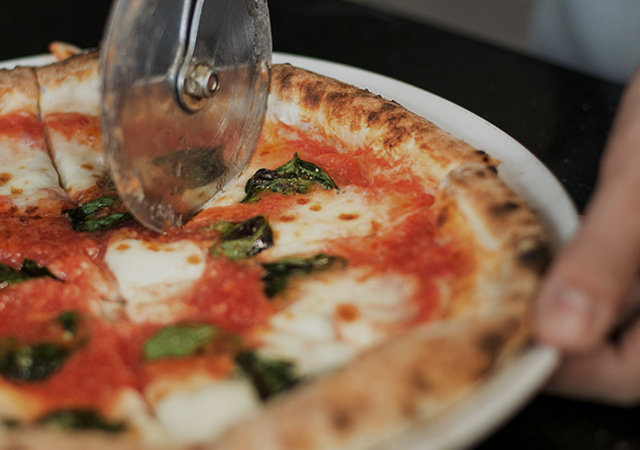 At Pizza 4P’s, we consider design as one of our primary priority since each concept could light up a distinctive spirit for the restaurant, to alter the dining experience of you.